While Global Position System, GPS, has been one of the most recognizable symbols of space applications around the world, much less known was the fact that Russia also attempted to build a parallel network of satellites designed to provide accurate navigation. As its American counterpart, the Russian satellite navigation system, known as GLONASS, was born at the height of the Cold War for primarily military purposes. The GLONASS network could be used to determine coordinates and the speed of an aircraft, a vessel or any other vehicle across the globe. A fully completed GLONASS system was expected to include 21 active and three spare satellites spread over three orbital planes at the altitude of 19,100 kilometers and inclination 64.8 degrees toward the Equator. The Proton rocket equipped with Block D or Breeze M upper stage is capable of delivering a trio of satellites into orbit, from which two satellites later maneuver themselves into final orbits. When completed, the GLONASS constellation was designed to provide 100 meters accuracy with its "standard precision" C/A signals, which are deliberately degraded, and 10-20 meter accuracy with its P "high-precision" signals, originally available exclusively to the military. At the end of 2004, the head of the Federal Space Agency, FKA, called the separation between military and civilian frequencies in the GLONASS system, "awkward" and promised to provide the access to the high-precision navigation data to all users. 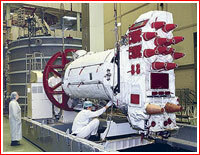 The Uragan spacecraft for the GLONASS network was developed by NPO PM in Zheleznogorsk and, until the beginning of the 1990s, the satellites were mass produced by PO Polyot in Omsk under supervision of NPO PM. 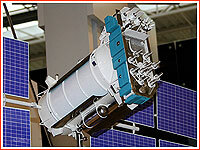 However NPO PM later returned to the full development and manufacturing of the Uragan-M spacecraft "on site." 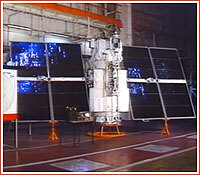 The last Uragan spacecraft built by PO Polyot was launched in December 2005. 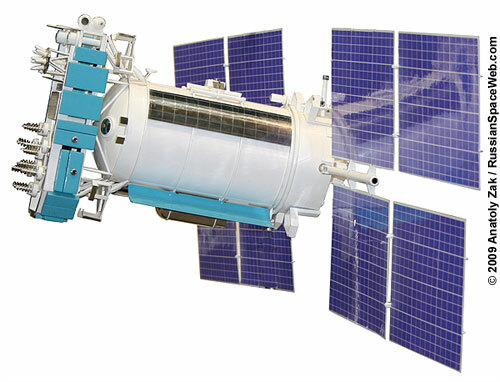 The Uragan satellite features a three-axis stabilization system, which points it in nadir during the operational flight. Two solar arrays provide power supply. The spacecraft carrier transmitters send L-Band navigation signals in 25 channels separated by 0.5625 MHz intervals in two frequency bands: 1602.5625 - 1615.5 MHz and 1240 - 1260 MHz. EIRP 25 to 27 dBW. Right hand circular polarized. Onboard cesium clocks provide time accuracy to 1,000 nanoseconds. 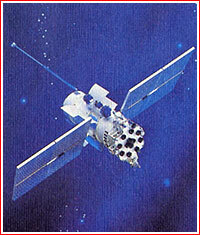 The GLONASS-M version of the satellite featured improved antennas, extended lifetime and the introduction of a separate transmission frequency dedicated to civilian users, known as L2. The satellite also sported an increased clock stability, more accurate solar array orientation and better maneuverability. 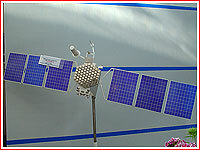 As of 2010, launches of GLONASS-M satellites were expected to continue until 2012, however only in the middle of 2015, ISS Reshetnev completed the final spacecraft in the series -- No. 61L. 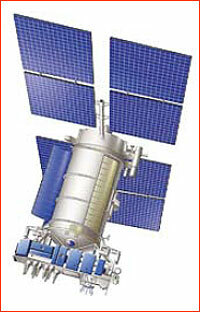 The satellite was placed into storage until the decision about its launch date. The GLONASS-K version was based on a brand-new Ekspress-1000 platform developed by NPO PM, which featured lighter, standardized unpressurized bus. A revised version of GLONASS-K satellite, known as GLONASS-K2 was originally promised as early as 2013, however by 2012, it was not expected to enter service until 2015. As late as 2012, a further revision of Uragan satellites, known as GLONASS-KM, would further expand the capability of the navigation network. According to ISS Reshetnev's document made available in 2012, GLONASS-KM would be launched in pairs on Angara/Briz-M rockets or one by one on Soyuz-2/Fregat rockets beginning in 2017, however around the same time, industry sources said that this version would not become available before 2020s. ***Original target mass of 745 kilograms proved to be unachievable by the beginning of flight testing in 2011.